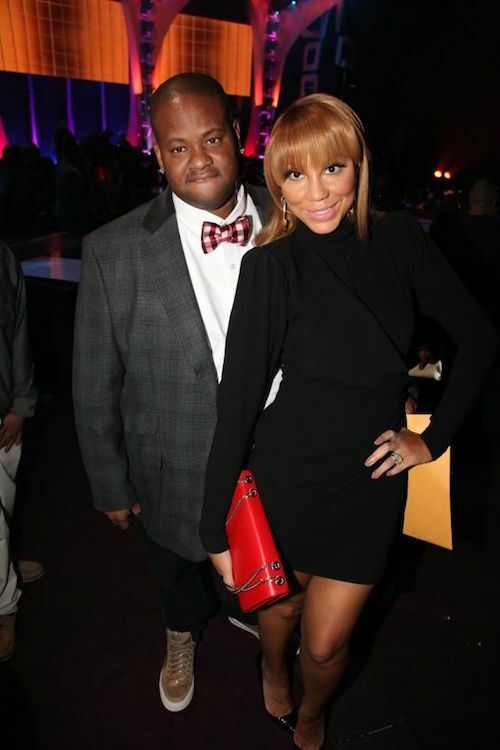 Just one month shy of their 9-year wedding anniversary, Tamar Braxton has filed for divorce from husband Vincent Herbert. According to reports, the 40-year-old former co-host of "The Real" filed the papers in L.A. County court Tuesday morning seeking a "dissolution of marriage with a minor child." The couple shares their 4-year-old son Logan Braxton Herbert. It's been a tumultuous few years (at least) for the couple. Recently, they put their Calabasas mansion on the market for $15M as housing sites like Trulia list it as being in foreclosure. 44-year-old Vince, who is formerly part of Lady Gaga's management team, owes SONY music label a whopping $3M after settling a lawsuit about an advance. The sale of the house would create $5M profit as they bought it for $10M a few years ago. There's also been plenty of drama in the reality star couple's marriage that's played out for the world to see. There was a domestic violence issue the couple swept under the rug . Police were called by a member of Tamar's camp in August 2016 after an argument the couple had resulted in Vince allegedly biting Tamar. The two have always bickered like an old married couple, but things seemed to have escalated recently. They had horrible fights on their reality show in front of friends and family, and Tamar recently admitted she is quitting the album-making business (but will still do music in other ways) to "save her marriage." "We may not have the picture perfect marriage but what WE see in each other is perfection. I love you forever. Cheers to 800 more years." Whether or not the two will actually go through with the divorce is another story. The new season of "Tamar & Vince" conveniently premieres in two weeks, and the PR team already reached out earlier this week about promo opportunities. Coincidence? Maybe, maybe not. There's already whispers that the divorce is simply a business move to protect assets amid Vince's financial troubles.